When a plaintiff gets a money judgment against a defendant in court, it may be a temporary victory because the judgment is just a piece of paper until the money is collected from the defendant/debtor. Here is a general discussion of the options that might be available to a plaintiff to collect his judgment.Preliminary Considerations. A plaintiff can obtain a “transcript” of his judgment from the court that entered the judgment and then record the transcript in any county in Colorado where the debtor might have property. This process creates a lien against the debtor’s property in those counties where the transcript is recorded; the plaintiff can choose to foreclose the lien, or it can wait to see if the debtor willingly pays the lien to clear title to the property. The lien will generally cease to encumber the debtor’s property after six years from when the transcript is recorded unless the plaintiff goes through a process to renew it before it expires. If the plaintiff is unable to identify assets of the debtor sufficient to satisfy the judgment, he might be able to subpoena the debtor and force him to answer questions about his assets under oath. Execution, Levy, and Sale. A plaintiff can ask the court to issue a “writ of execution,” which is a special document ordering the sheriff to take and sell the debtor’s property to satisfy the judgment. The sheriff will then take control of the property (which is known as “levy”) and will serve a notice on the debtor so the debtor has the opportunity to challenge the levy. Unless otherwise ordered by the court, the sheriff will advertise the property for sale and sell it at a public auction to satisfy the judgment. Garnishment. It is possible for a plaintiff to “garnish” the debtor’s property that is in the hands of a third party; common targets for garnishment are unpaid wages and funds in bank accounts. A plaintiff initiates a garnishment by asking the court to issue a special document known as a “writ of garnishment,” which is served on the third party who holds the debtor’s property (such as the debtor’s employer or the debtor’s bank). The third party is obliged to deliver the debtor’s property to the court. The debtor is then given notice that the property was taken and afforded an opportunity to challenge the proceedings. Unless otherwise ordered by the court, the property will be given to the plaintiff to satisfy the judgment. When the debtor’s wages are garnished, the plaintiff typically receives a portion of each paycheck for a period of time (rather than receiving the full amount of each paycheck). The portion that can be taken is determined by a statutory formula. Receivers. Either before or after obtaining a judgment, a plaintiff can ask the court to appoint a neutral party as a “receiver” to take charge of the debtor’s property. A receiver can be appointed for many reasons, including to run a debtor’s business where profits might otherwise be lost, to collect payments due to the debtor (such as rent), or to prevent the debtor from “trashing” a property or disposing of the property before the plaintiff can execute and levy against it. The receiver must follow the court’s instructions and exercise good judgment in dealing with the debtor’s property.For each of the remedies described here, there is a complicated procedure by which the plaintiff can exercise the remedy and the debtor can fight it. Before a plaintiff goes to the expense of filing a lawsuit, it might be worth exploring whether any judgment will ultimately be collectable from the defendant. For once a judgment is obtained, the battle has only just begun! 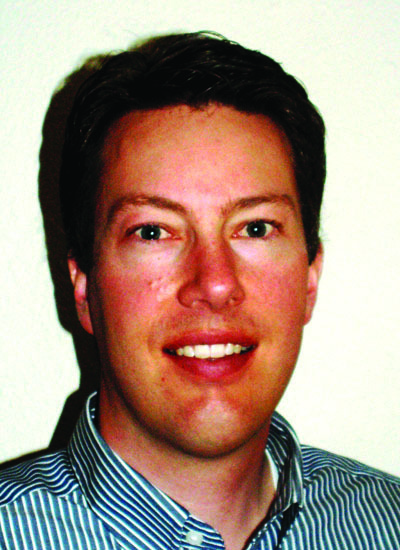 Noah Klug is an attorney with the Breckenridge law firm of Bauer & Burns, P.C. He may be reached at (970) 453-2734 or Noah@BreckenridgeLawyer.com.